Throughout the history of Waseda Sports, many students and alumni have taken part in the most prestigious sporting events, Olympic and Paralympic Games, with numerous glorious achievements. 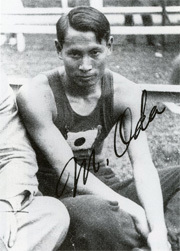 The first ever Summer Olympic Games participant from Waseda University was Yahei Miura, who competed in the marathon during the seventh Olympic Games, held in Antwerp in 1920. He finished in the 24th among 49 runners. Miura also competed in the first Hakone Relay Marathon in the same year, running the fifth section (uphill). As for medals, at the ninth Olympic Games, held in Amsterdam in 1928, Mikio Oda (photo on right) won a gold medal in the triple jump, becoming the first Japanese gold medalist. In swimming, Katsuo Takaishi, Nobuo Arai, and Hiroshi Yoneyama won silver medals in the 800m relay, and Takaishi also won a bronze medal in the men’s 100m freestyle. During the 11th Olympic Games, held in Berlin in 1936, Shuhei Nishida performed in a legendary pole vault competition, where four pole-vaulters (two each from Japan and the USA) competed in finals that continued well into the evening. He is well remembered for sharing the second and third places with his competitor and fellow Japanese vaulter, Sueo Oe, from Keio University. 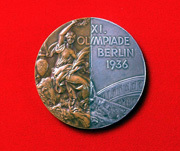 They halved the silver and bronze medals to make combination medals, and this became known as the medal of friendship. The episode was narrated by Mikio Oda, and was included in primary school Japanese language textbooks. 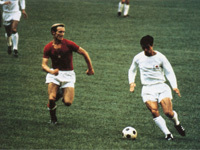 At the 1964 Tokyo Olympic Games—the first Olympic Games to be held in Asia—the Japan team included a total of 43 athletes from Waseda University, comprising 25 students and 18 alumni. Among these athletes, Yojiro Uetake (photo on bottom left) won a gold medal in freestyle wrestling (bantamweight class), and Kunihiro Iwasaki and Yukiaki Okabe received bronze medals in 800m relay swimming. Other Olympians from or related to Waseda University followed, including Kunishige Kamamoto (soccer; photo on bottom center), Takeshi Kato (gymnastics), Akira Ota (wrestling, 90 kg class; photo on bottom right), Toshihiko Seko (marathon), and Yoko Zetterlund (volleyball; USA national team), and more recently, Yuriko Takeshita (canoeing), Asami Kitagawa (swimming), Honami Tsuboi (rhythmic gymnastics), Kensuke Takezawa (track and field), Takuro Fujii (swimming), Tsuyoshi Wada, and Norichika Aoki (baseball), to name a few. In the 2012 London Olympic Games, Takuro Fujii (swimming) won a silver medal for competitive swimming in the 4 x 100 meter medley relay, achieving Olympic medals in two consecutive games. 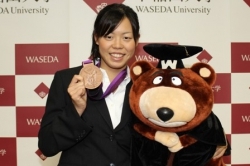 Natsumi Hoshi (swimming) also won an Olympic medal, and became the first female student medalist in Waseda Sports history. Japan’s first appearance in the Winter Olympic Games was the second Winter Olympic Games, held in St. Moritz in 1928. On this occasion, Japan’s Nordic skiing team had six members, of which five were Waseda students. In the 1964 Olympic Winter Games in Innsbruck, Miwa Fukuhara came in fifth place in figure skating. At the 2014 Sochi Olympic and Paralympic Games, 13 athletes and five coaches/staff members participated from or in association with Waseda University. 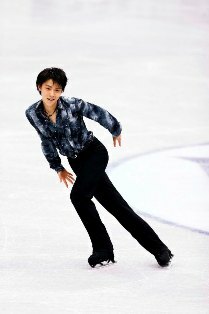 Yuzuru Hanyu (School of Human Science’s e-school) achieved a gold medal in men’s singles figure skating, which was a first for Japanese skaters. This was the first time in 22 years that a current student had won a gold medal, the last being when Kenji Ogiwara (Human Sciences, 1992) won in the Nordic combined at the 1992 Albertville Olympic Winter Games. 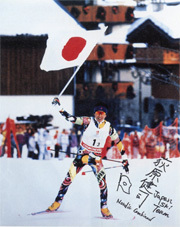 At the Sochi games, Akito Watabe (skiing) won a silver medal in the Nordic combined for the Normal Hill discipline, which was the first Olympic medal in 20 years, the last being the 1994 Lillehammer Winter Olympic Games, where the Japanese team won a gold medal for the Nordic combined and Takanori Kono (1991 graduate of Human Sciences) won an individual silver medal. 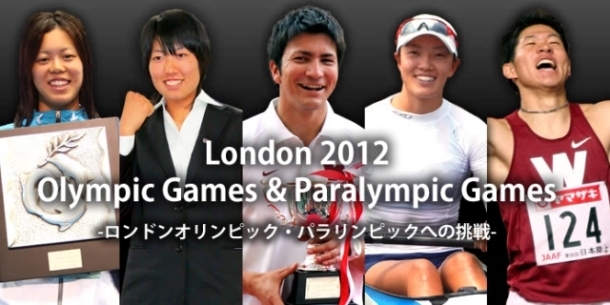 Many Waseda students and alumni have played in the Paralympic Games. Recent Paralympians include Mami Sato (track and field), Tomoki Tagawa (track and field), and Junpei Kimura (swimming). 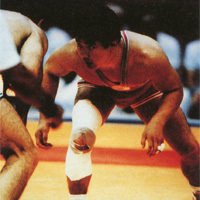 Starting from the 1992 Barcelona Games, Junichi Kawai (swimming) competed in six consecutive games in Atlanta, Sydney, Athens, Beijing and London. He has won 21 medals, including five gold medals. Takayuki Suzuki (swimming) led the Japanese squad in competitive swimming at the Beijing and London Paralympics, and won one gold medal and five medals in total.